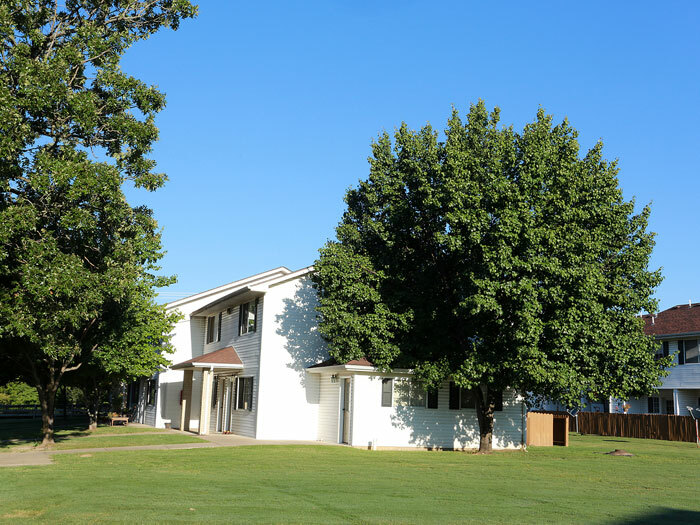 Nestled in an Ozark Valley setting, our very spacious homes and grounds make for a very pleasant, peaceful place to live. 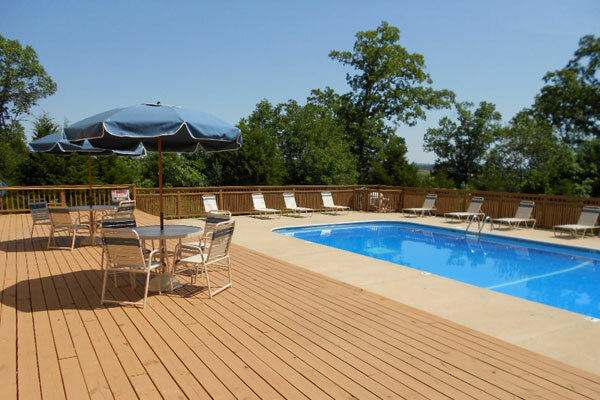 The wrap around deck on our 2,000 square foot clubhouse has a spectacular Ozark Valley view. 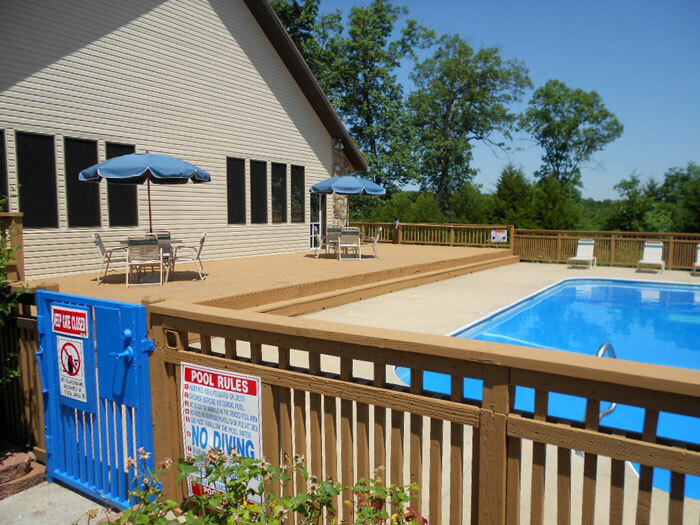 The large pavillion area next to the sparkling pool is ideal for social and family gatherings. 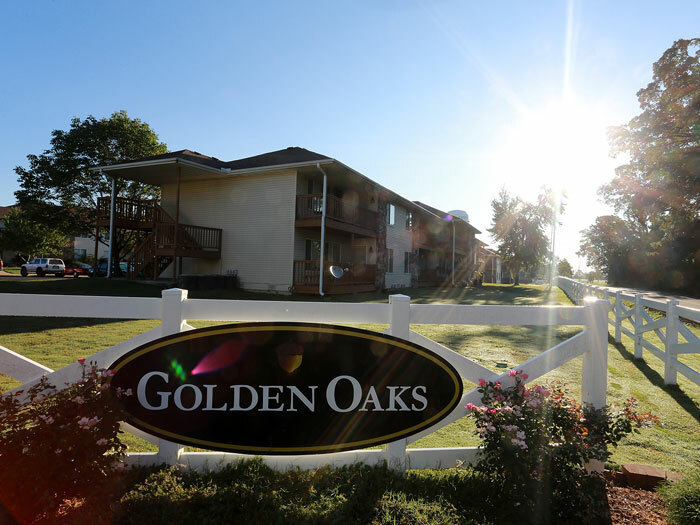 Golden Oaks is also close to all dining, shopping, entertainment and world class golf! 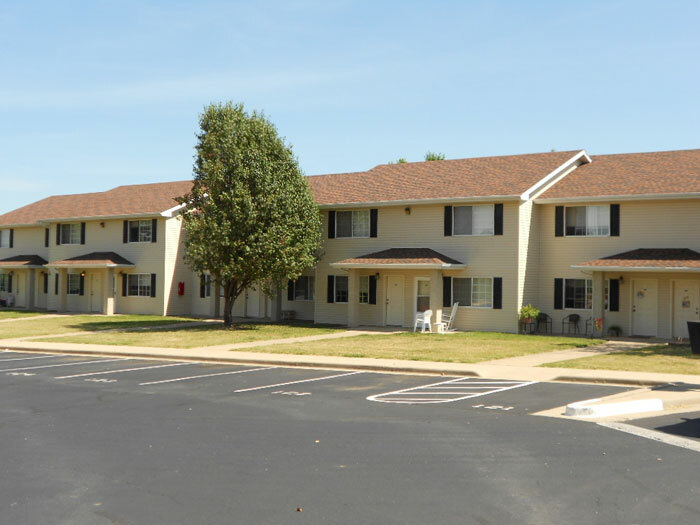 Stop by today or contact us for a showing! 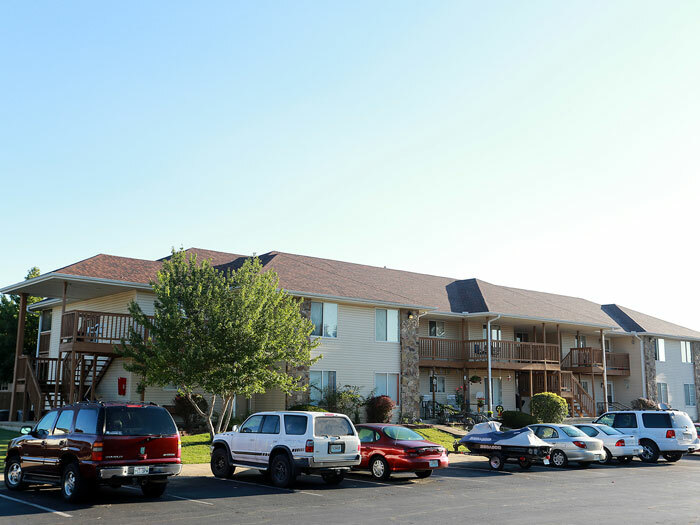 Architecturally designed as condos, all of our homes exceed 1000 square feet. 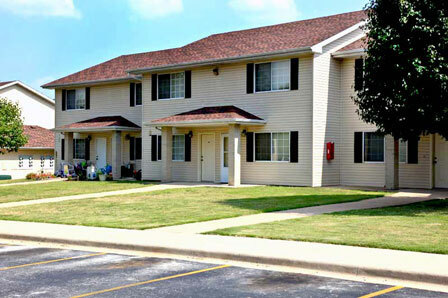 We feature 2 bedroom, 2 bath garden level homes or 2 bedroom, 2 1/2 bath town homes. 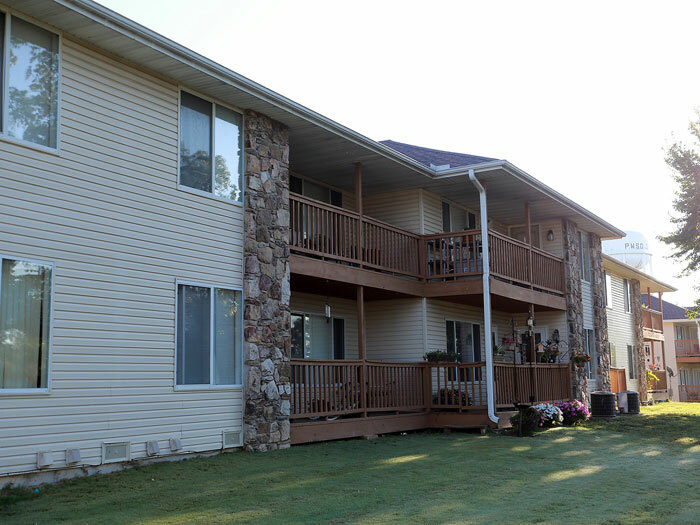 Washer/Dryers built right into your home. 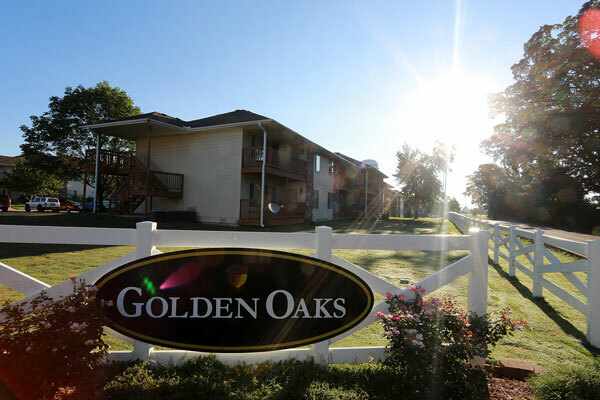 If you like a large home at a small price, you will love Golden Oaks! 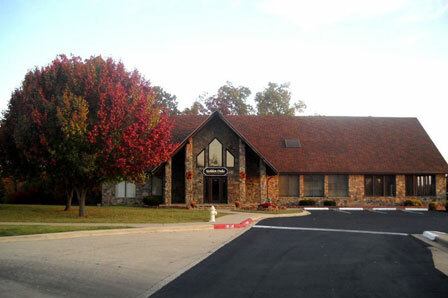 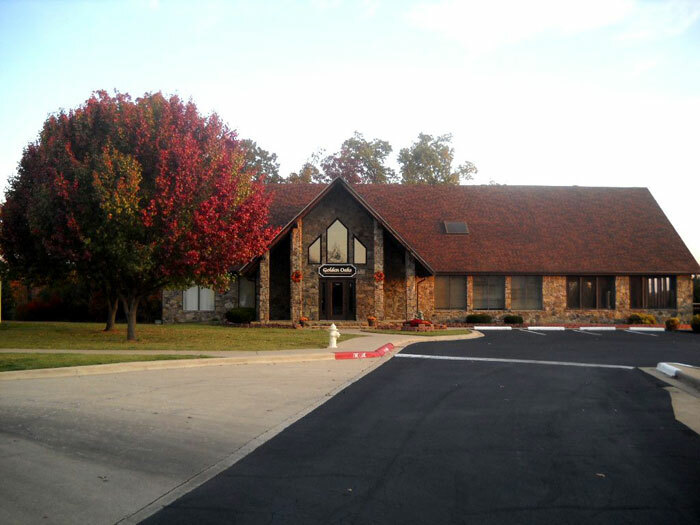 Our community is situated at the first major interchange entering Branson. 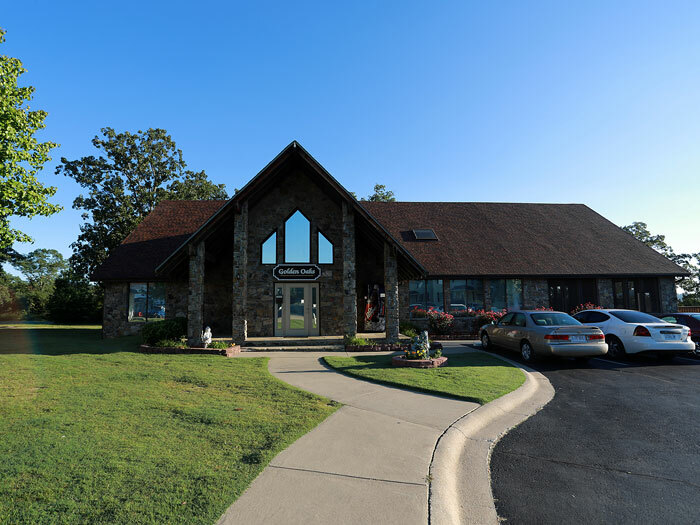 Easy access to shopping, dining, schools and recreation - just minutes from The Branson Landing! 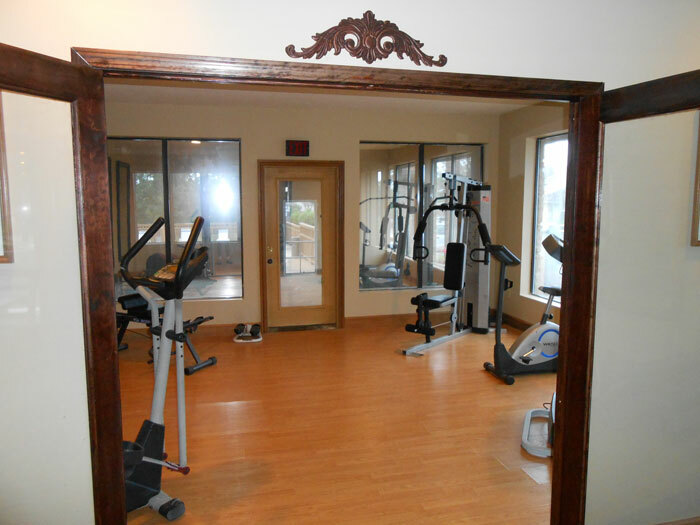 Our clubhouse features a fitness center, enclosed/screened porch/party area and a sparkling swimming pool. 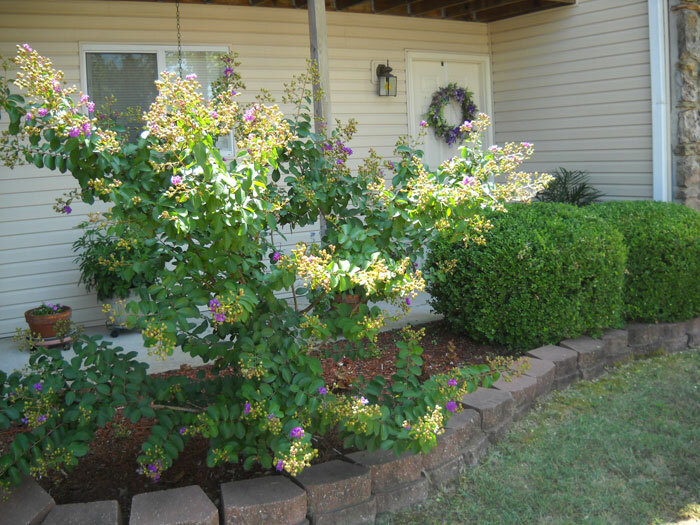 Perfect for all your social or family gatherings!